The right headline can be the difference between your followers (and their friends) clicking on your post or ignoring it. 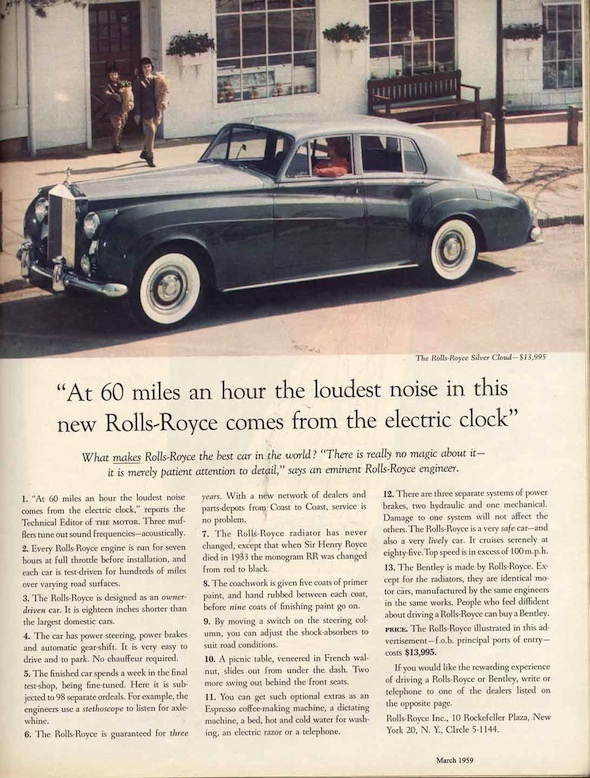 Marketing great David Ogilvy, who created advertisements for companies like Rolls Royce, once said “five times as many people read the headline as read the body copy. When you have written your headline, you have spent eighty cents out of your dollar.” A lot has changed since the golden-era of advertising days that inspired shows like Mad Men, but one fundamental truth has stayed the same; you can spend all your time on great copy (or blog content) and ruin it with a poor headline. The headlines in today’s social media and web-based content rely upon aspects of cognitive psychology, behavioral economics, heuristics, and principles of neuroscience which are then tested through A/B and split testing programs. In his book “How Customers Think” Zaltman states 95% of all decision making, including clicking on a post, happens in the subconscious brain. The goal of the modern marketer is to leverage the brain’s built-in software to increase clicks for online content. All this information can be great for large corporations who are trying to increase the engagement of their content by mere percentage points. But what can small, agricultural businesses learn about headlines from these fields? Growers and producers can maximize their social media clicks by leveraging the following 3 principles. Our brains are lazy. Nobel Prize winning economist Daniel Kahneman knows this better than anyone. Kahneman spent decades studying how the brain works and ultimately determined the vast majority of our decision making is fast, automatic, emotional, subconscious, and easily manipulated. Our brains don’t want to sort through paragraphs of text to find the information it wants; It’s just too much work. The brain would much rather have a list because lists satisfy the primitive part of our brain that relies upon organization and classification. Let’s take a look at how a list can be incorporated into a heading on social media. Context: A garden center created a blog post about winterizing your garden. The garden center wants to share the blog post on their Facebook page. Example 2 naturally takes advantage of the lazy brain’s need for classification and organization. The numbered nature of the headline will also tells the brain it will be an easy read. This increases the potential for a click. However, the numbers you use for your lists and how they are presented also carry some weight to that subconscious click. Kahneman indicates odd numbers are believed to be more credible than even numbers. For example, don’t use 6 tips; use 5 or 7. Secondly, always use the numerical value of a number instead of a written value. For example, write “7” instead of “seven”. In her seminar at the DMA &Then Conference, Nancy Harhut of the Wilde Agency shared that including a numerical value in the headline instead of the written number lead to a 36% increase in clicks. We can improve upon the previous headline by using the numerical instead of the written value to make it even easier for the brain to process. Our brains are hard-wired to avoid pain. However, this desire to avoid discomfort isn’t limited to physical pain. Some studies have shown that losing or breaking a belonging or prized possession has a psychological pain that is just as strong as physical pain. Oddly enough, this can actually take place for digital content and possessions like photos stored on your hard drive or even a collection of pins on someone’s Pinterest account. The brain’s need to avoid psychological pain should not be ignored. Headlines can take advantage of this built-in brain operating principle through framing. A frame is simply how a topic is presented or worded. There are two types of frames, a gain frame and a loss frame. A gain frame puts something in the perspective of a positive outcome you will get out of doing or abstaining from a specific behavior. On the other hand, a loss frame focuses on the negative consequences to action or inaction. Example gain frame: Using sunscreen can prevent getting skin cancer. Example loss frame: Not using sunscreen can lead to skin cancer. Each of these advertisements promotes a breath freshener through a different frame. Trident is relying upon a gain frame while Clorets is focusing on the loss frame. Harhut also shared from her DMA presentation that her research indicates loss frames are much more persuasive as headlines because our brains would rather focus on avoiding pain than chasing after reward. So how would framing a message in the loss frame or gain frame look? Let’s go back to the earlier example of winterizing your lawn. People would be more interested to learn how to prevent their lawn from dying than ways to keep their already good lawn healthy. Facebook, Twitter, Instagram and a host of other apps can now seamlessly integrate with one another. Blogs allow you to auto publish your content to a myriad of social media channels with a click of the button. It’s efficient, but is it the right thing to do? Contently conducted a study on the character length of different social media headlines and found a correlation between character count and engagement. Email – Subject lines with 28-39 characters have a higher open rate and click-through rate. Our final example for our Facebook headline comes in at just under 40 characters which is an ideal length for a Facebook headline and would also fit the Email criteria listed above. The headline recommendation is just that, a recommendation. You must decide how long your content should be depending on the channel you are using. However, we recommend trying to be as concise as possible. David Ogilvy is still right; the headline is supreme. But most importantly it needs to be accurate and an honest representation of the article. We all hate “click bait” or articles that seem to capture our attention by promising one thing and delivering another. A click is just one part of the puzzle. The true test for social media is in retention. The average person only spends 15 seconds on an article. Make sure your headline matches your content or you might find high click rates but very low retention rates.